A lot of our favorite casino games are developed by Net Entertainment, a software company that specializes in online gambling games. The company was founded way back in 1996 in Sweden and has grown to become a leader in the online casino software industry. 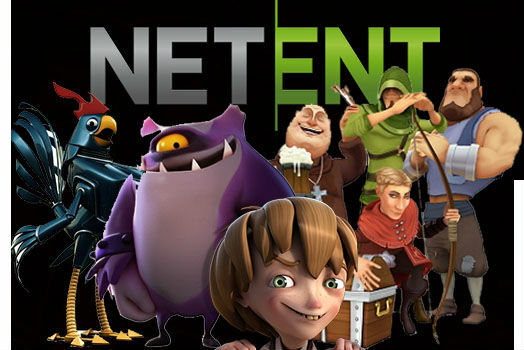 Over the years, NetEnt has formed a name for itself internationally as a developer of very creative and extremely entertaining online casino games. NetEnt’s games are great-looking, dynamic and just lots of fun to play. The company’s software is excellent on all platforms from PC and Mac laptops to mobile devices. NetEnt online slot machines are a must-see and must-play for every slots fan. These games are beautifully designed with exciting gameplay and attention to detail, culminating in a great online gambling experience. Currently there are about 150 NetEnt slots games available in online casinos, but the company is constantly at work adding even more titles to its already extensive catalog. NetEnt games run smoothly as flash versions, compatible with both Mac and PC operating systems. The company does not offer a downloadable version of its games, but as far as we’ve seen, this does not pose any problems at all. All the games run perfectly. NetEnt also offer a live dealer casino platform known as the NetEnt Live Casino. If you’re a fan of the traditional elegant and exciting casino ambience, then be sure to check this out. NetEnt has a large and impressive games catalog. Their most popular games are Starburst, Jack’s Hammer, Jackpot 6000, Mega Joker and Aliens. If you’re a fan of the South Park series, then you’ll be happy to know that NetEnt put out the official South Park Slots game too. The NetEnt progressive slot games to look out for are Mega Fortune, Mega Joker and Hall of Gods. NetEnt specializes in 3D slot games. As the name suggests, these games offer stunning 3D graphics and really make a slot game come to life. Be sure to check out Jack and the Beanstalk and Gonzo’s Quest to see just how far this company is pushing the boundaries of what a slots game can be. Do NetEnt Slots Have Good Payout Rates? We think they do. It generally seems like NetEnt is one of those companies that takes a keen interest in the people using their products, making playing their games an experience that’s both thrilling and rewarding. NetEnt games will generally offer payouts of between 95% and 97%. Some NetEnt games exceed this with Blood Suckers (98%), Kings of Chicago (97.8%), and Devil’s Delight (97.6%) being examples of this. 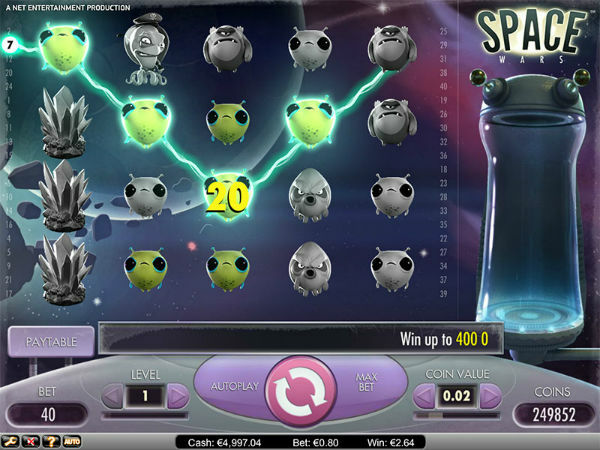 Considering the quality of the games, that’s really good and means that NetEnt slots have some of the best odds online. While NetEnt games do not boast the huge jackpots of companies like Playtech and Microgaming, their entertainment value makes every coin wagered completely worth it and there are definitely impressive sums to be played for. NetEnt makes use of the latest security software to protect players. The company is licensed in Malta by the Lotteries and Gaming Authority (LGA) which makes sure that the games are fair and tests that the RNG’s (random number generators) are not manipulated in any way. NetEnt is particularly well-known for its innovation as a software developer for mobile devices. NetEnt’s mobile slot games look great on any mobile device you may have whether it’s a smartphone or tablet, Android or Apple. This is due to their sophisticated platform dedicated to mobile gaming – NetEnt Touch. NetEnt games are always very vibrant and dynamic and getting comfortable on the couch with some great slots games is just an amazing way to have some gambling fun. While many casinos will boast about having 10 to 20 mobile games on offer, NetEnt currently offers a selection of around 100 mobile casino games. Online casinos offering NetEnt games will also offer free versions for most of them. This means you can just browse the casino’s games catalog and look for the game you wish to try out. You’ll be given demo coins to play with and you can experiment with the game’s various options. When you feel ready, just click the “Play for real money” button. You’ll be directed to a registration page. Just fill out your info and head over to the cashier to make a deposit. NetEnt casinos will generally have good bonus systems including a generous sign-up offer as well as other perks that you can benefit from as you play. Read up on the casino’s bonus terms and conditions so you know exactly what you deserve and what the wagering requirements are for the various games. NetEnt casinos offer a number of ways for Canadian players to make transactions. Apart from the standard option of credit cards like Mastercard and Visa, NetEnt casinos typically accept e-wallets such as Paypal, Neteller and Click2Pay. Perhaps one of the best suited payment methods for Canadians – Instadebit – is not offered by NetEnt but may be added in the future. The quality of NetEnt’s casino games is apparent even before you’ve had your first spin. The jackpot amounts offered in NetEnt games may not blow you away, but that’s only in comparison to the huge progressives offered by Microgaming and Playtech. NetEnt games really shine on mobile platforms. Not only is their selection of mobile slots games vast, the quality of each and every game is astounding and the entertainment value make playing these games a very rewarding experience. NetEnt casinos have some very rewarding bonus offers for new players making exploring the world of NetEnt games that much more fun.